Cities offer the scale needed for transformative change — large enough to matter, but small enough to manage. Universities and colleges are also civic actors in their own right. They are “cities within cities,” where the principles of pluralism create communities of diversity, open to the world. The relationship between post-secondary institutions and cities can serve as an engine of social and environmental sustainability. As part of its pursuit of a more inclusive, sustainable, and resilient society, the J.W. McConnell Family Foundation has created RECODE, an initiative dedicated to catalyzing social innovation and entrepreneurship in higher education; and Cities for People, which contributes to more resilient, livable and inclusive cities. 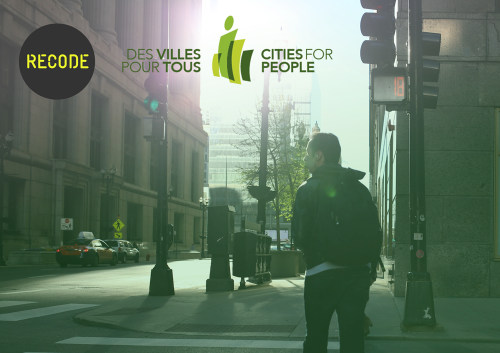 The RECODE / Cities for People Civic Innovation Awards program provides grants to initiatives that position post-secondary institutions as civic actors catalyzing positive change in cities. These grants will support innovative collaborations between post-secondary institutions and community organizations or businesses that strengthen their communities. This is a call for initiatives, products, processes, or programs that contribute to the knowledge and resources in our post-secondary campuses, community organizations, businesses and local governments. We are looking to challenge and evolve the defining routines, resources, and authority flows in our cities for the greater good. Up to $100,000 will be awarded in amounts ranging from $10,000 to $50,000 to exemplary initiatives that meet the criteria outlined in either of the two relevant themes. Theme 1. Innovative Citizenship and Service: Enhancing capacity to engage and take action on community and city issues. Partnerships between post-secondary institutions and municipal governments or agencies that improve civic engagement. Initiatives that support civic action by students. Multisectoral collaborations that apply our collective capacity (or civic intelligence - see lexicon) to improve social and economic outcomes for marginalized populations. Theme 2. Enhancing the Civic Commons: Re-purposing our shared city assets through innovative approaches to increase the social, cultural, economic or educational value of the civic commons. Initiatives that re-design and re-purpose buildings, grounds and other assets in service to the community. Participatory planning and budgeting initiatives that involves municipalities, post-secondary institutions and public input. Technological innovations to make for a more engaging and connected civic commons.